Actually, Mahabaratha is one of the greatest epics of all time with so many characters and so many battles and so many good things and bad things and so many stories and so many relationships. If Mahabaratha is like an ocean then characters in the Mahabratha are like seas and rivers. These all seas and rivers together made Mahabaratha like a beautiful ocean with so much of things to learn and apply them to our daily real life. Every character in Mahabaratha gives us some moral to learn and apply them to our daily things. But some of the characters are very famous but some characters are unknown even though they are very powerful and add more strength to Mahabaratha epic. So I am going to list out some underrated characters which I knew. So let's discuss them below. Kripacharya was brother in law of Drona because Drona married Kripacahrya's sister Kripi. So Kripacharya was the uncle of Ashwathama. He was the first guru of Pandavas and Kauravas before Drona. Kripacharya was the greatest warrior at the time of Mahabaratha but Kauravas did not use him well in Kurukshetra war. He was one of the 8 immortals who is surviving still on earth. Drishtadyumna was the son of the Drupad and brother of Draupadi. 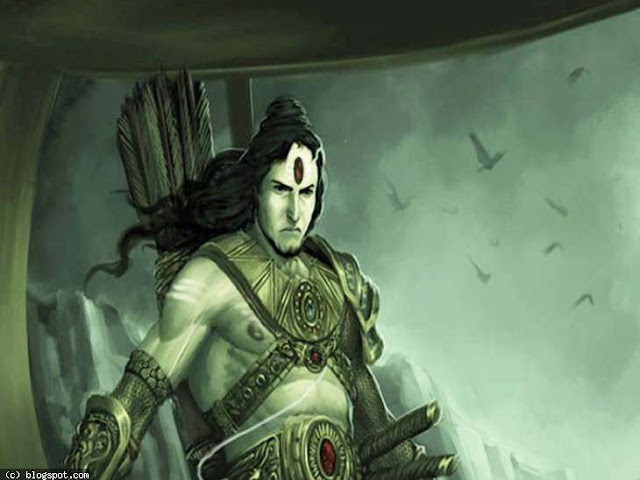 He killed Drona in a tricky manner by making Drona believe that his son Ashwathama was dead. Later Ashwathama killed Drishtadyumna to take revenge for his father death. Vidura was the half-brother of Dhritarashtra and Pandu. He was born to Vyasa and Parishrami(who was the maid of Kaurava kingdom). Vidura was the prime minister of Kaurava kingdom. He was a very good person and proposed Vidur Neeti which is very useful to place our lives on the right path. Satyaki was the powerful warrior belonged to the Yadava dynasty. He was the student of Arjuna and the great devotee of Krishna. After the death of Abhimanyu, he did the last rites for him. Satyaki was one of the survivors of Kurukshetra war but later he died due to Gandhari's curse to destroy Yadava dynasty. Kritavarma was one of bravest warriors of Mahabaratha. He was born to Hridika. He belonged to the Yadava dynasty. He helped Ashwathama to kill Pandavas sons and Drishtadyumna. Kritavarma has died in the hands of Stayaki when it was the time for the end of Yadava dynasty. Barbarika was considered as an all-time greatest warrior of Mahabharata because of his mighty powers and three arrows he possessed. He was the son of Gatotkacha and grandson of Bhima. He was not allowed by Lord Krishna to fight in Kurukshetra war because if he participates neither Pandavas nor Kauravas would win the war. He was the third one of 100 Kauravas. He was the only person among Kauravas who followed justice and tried to help Pandavas. Even though he knew what Duryodhana doing was wrong but for the sake of Duryodhana, he fought from Kauravas side. Bhisma named VIkarna as one of the great warriors from Kauravas side. Later he was killed by Bhima in mace fight because Bhima had sworn to kill all 100 Kauravas. Bhima cried after killing Vikarna because Bhima knew Vikarna was a great person and for the sake of Bhima's sworn to kill 100 Kauravas, Vikarna died in the hands of Bhima happily. Yuyustu was born to Dhritarashtra and his wife Gandhari's maid Sughada. Yuyutsu was the only son of Dhritarashtra who survived in Kurukshetra war. He was described as a moral warrior who chose his path in righteousness and wanted to walk in the way of dharma along with Pandavas. During Kurukshetra war, he shifted from Kauravas to Pandavas side and fought from Pandavas side. I hope this information will give you more knowledge and thanks for reading.